1. 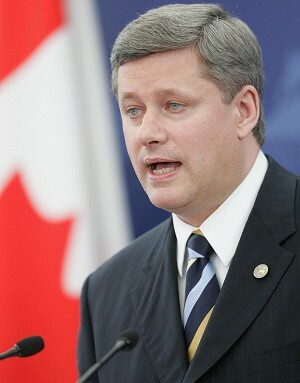 Canadian Prime Minister Stephen Harper has called for new elections, which will take place on October 14. Harper’s Conservative Party has ruled Canada as a minority government since February 2006. The election is expected to be closely contested, as the Liberal Party, under the leadership of Stéphane Dion, mount their challenge. With Canada’s economy tittering on the brink of recession, the economy figures to be the central issue of the campaign. The outcome of the election may also signal a fundamental shift in Canadian politics, as the Bloc Quebecois appears to be losing its regional support in Quebec, creating the possibility of a Conservative majority in the national legislature. 2. There were two important developments in the Israeli-Palestinian dispute last week. On Wednesday, the Palestinian Strategy Study Group released a report which indicated that Palestinians may be willing to endorse a bi-national state with Israel should the U.S.-backed two-state solution fail. The proposal would mark a dramatic change in the structure and intended goal of Israeli-Palestinian negotiations. In an unrelated development, Israeli President Shimon Peres on Friday called for direct talks between Israel and Syria to address outstanding issues. The two countries been engaged in mediated indirect talks for a number of years, but relations between the two have generally been poor since 1947. Normalization of relations between Syria and Israel would have to be a central component of any comprehensive settlement of the Palestinian question. 3. In a not-so-subtle confirmation of the flood of divestment from the country following the conflict over South Ossetia, the Russian central bank was forced on Thursday to intervene to support the rouble. According to some estimates, as much as $21 billion in foreign currency has been withdrawn from Russia over the past several weeks, leading to a dramatic decline in the value of the rouble. This represents the worst currency collapse for Russia since the 1998 crisis. But despite the crisis, the Russian government still have the third largest currency reserve in the world—estimated at some $582 billion—thanks in large part to the dramatic increase in oil and natural gas prices over the past few years. 4. In Paksitan, Asif Ali Zardari of the Pakistan People’s Party won Saturday’s presidential elections as expected. Zardari, who is the widow of assassinated former prime minister Benazir Bhutto, now faces a number of challenges: reinforcing the fledgling democracy amidst growing political and economic instability, normalizing relations with the west in the face of strong opposition in key regions of the country, and establishing a stronger degree of national unity while addressing growing violence within Pakistan. 5. Talks between Zimbabwe’s main opposition party, the Movement for Democratic Change (MDC), and the ruling ZANU-PF suffered their most serious setback to date last week. The MDC announced it had lost faith in negotiations intended to bring about a power sharing agreement, accusing South African President Thabo Mbeki, who is mediating the negotiations, of trying to force through a deal which would see ZANU-PF’s Robert Mugabe retain political power. The MDC also refuses to sign an agreement under which Mugabe would retain control of the country’s security forces, which they contend have been used for the political gain of the ruling party.